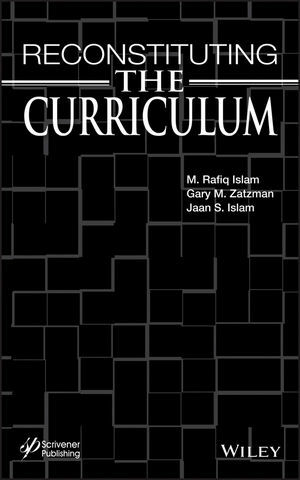 This inspiring work presents a truly knowledge-based approach to education as an alternative to the current curriculum that is based on consolidating pre-conceived ideas. It demonstrates the advantages of the new curriculum, both in terms of acquiring knowledge and preventing current problems such as technological disasters, global injustice, and environmental destruction. It also shows how it can eliminate plagiarism, low retention in classrooms, non-representative grading, and other common problems. Examples are given from various disciplines, ranging from science and engineering to philosophy and law. M. Rafiq Islam has nearly 30 years of experience in teaching and research, during which time he has supervised over 150 graduate and undergraduate students and postdoctoral fellows and completed over $20 million of funded research. During his career, he has published over 700 research papers and some dozen books on topics ranging from petroleum reservoir modeling to economics. He is the founding executive editor of Journal of Nature Science and Sustainable Technology, Advances in Sustainable Petroleum Engineering Science, Journal of Characterization and Development of Novel Materials, and Journal of Information, Intelligence and Knowledge. Gary M. Zatzman has decades of investigative journalism and research experience, dozens of articles in technical journals, and three previously published books: Sustainable Resource Development, Sustainable Energy Pricing, and Economics of Intangibles (with M.R. Islam). Jaan S. Islam is the executive editor of Ummah Youth Journal published in Halifax, Nova Scotia. He has been involved in research in the social sciences as well as technology development and has published numerous papers.